Watching Durham Bulls Baseball: Boom! 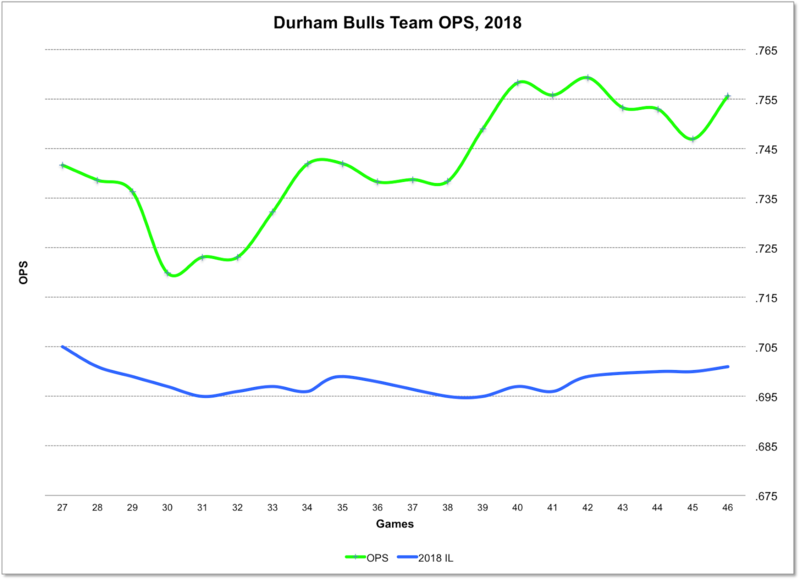 Four home runs (2 by Jason Coats, 1 each by Kean Wong and Andrew Valazquez) and 3 doubles (Wong, Hazelbaker, & Johnson) were enough to add a substantial tick upwards in the Durham Bulls' Team OPS, break a losing streak, and help Chih-Wei Hu get his first win. 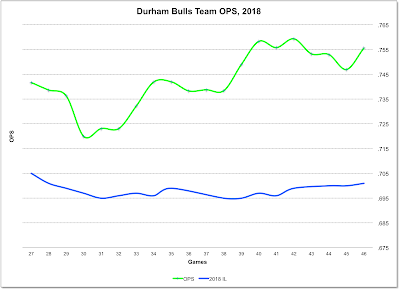 Durham Bulls at Game 41; Charts!